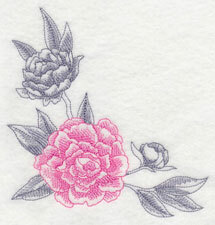 Celebrate the beauty and elegance of toile with these brand new designs! 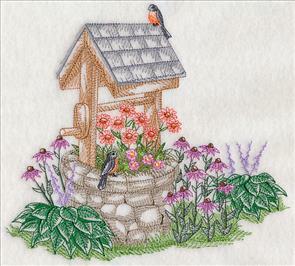 Blooming garden scenes delight on pillows, wall hangings, and blankets, while birds perched on blossoming branches are just the ticket for tea towels, aprons, and quilts. Because toile features light stitches and open areas that allow the fabric to show through, they're best stitched on smooth neutral fabrics. Try quilter's cotton, linen, denim, canvas, and tea towels for the best results. 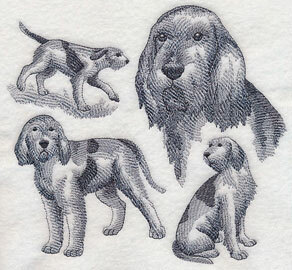 Scroll down to see these gorgeous toile designs! 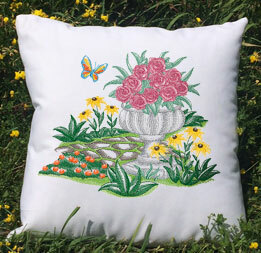 Stitch a delightful garden scene on a pillow to add beauty to your home decor. Evoke the natural beauty of a blossoming garden with these toile designs. 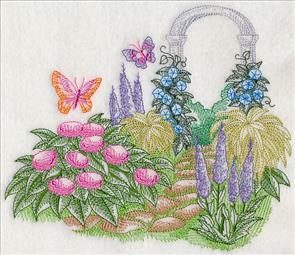 Each of the stunning garden scenes features colorful flowers and greenery that's perfect for brightening up embroidery projects. 8.48" x 6.90" and 7.77" x 6.33"
7.98" x 6.90" and 7.14" x 6.19"
6.35" x 5.50" and 5.61" x 4.86"
These toile designs feature a classic garden accent, such as the wishing well and bench depicted below. 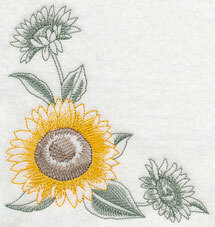 Stitch the light and airy embroidery designs on tea towels, quilt blocks, and tote bags. 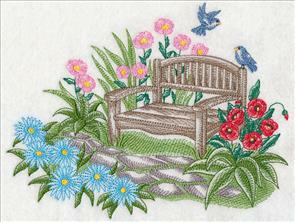 7.78" x 7.08" and 7.14" x 6.50"
8.84" x 6.90" and 7.79" x 6.08"
7.09" x 5.53" and 6.24" x 4.87"
The stylish toile garden designs are a terrific fit for gardening gear, wall hangings, and pillows too. Stitch all the designs to make a collection, or use your favorite on its own. 10.53" x 6.90" and 8.93" x 5.85"
11.73" x 6.82" and 9.38" x 5.45"
7.78" x 4.52" and 6.85" x 3.98"
Pick your favorite toile garden designs, or get all six designs in a pack by using the links below. 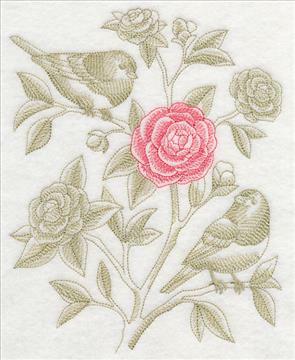 A pair of dark-eyed juncos perch atop a branch of blooming camellia flowers in this stylish embroidery design. Camellias are evergreen shrubs with flowers varying from white through pink to red, and both camellias and juncos can be found across North America. 6.90" x 8.69" and 6.19" x 7.80" and 5.40" x 6.80" and 4.85" x 6.11"
Border designs are great when stitched as embellishments for tablecloths, pillow cases, placemats, and more. 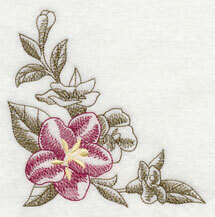 Pair this camellia border with the corner design below. 11.75" x 4.18" and 9.40" x 3.34" and 7.80" x 2.77" and 6.00" x 2.34"
A bright floral corner will look light and lovely on your next embroidery project. 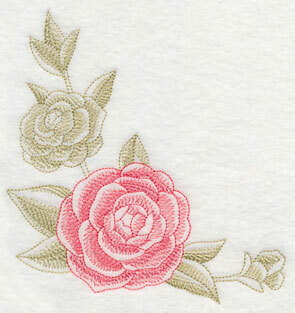 This camellia design pairs well with fabric choices in lighter colors. 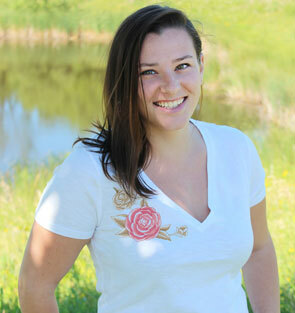 Embellish a plain white t-shirt with one of these corner designs! The scissor-tailed flycatcher lands on a branch blooming with gorgeous clematis. 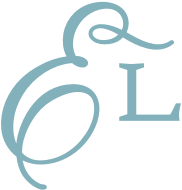 Both the bird and the flower in this lovely design also go by other nicknames. The flycatcher is also known as the "Texas bird-of-paradise," while clematis is also known as "traveller's joy," "old man's beard," "leather flower," and "vase vine." 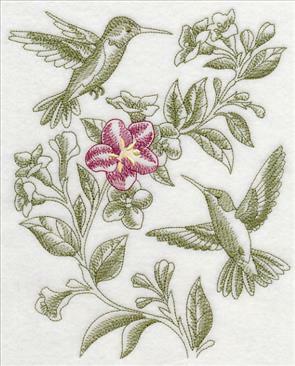 6.85" x 8.60" and 6.21" x 7.80" and 5.40" x 6.78" and 4.85" x 6.09"
Pair the scissor-tailed flycatcher and clematis design with a matching corner and border. 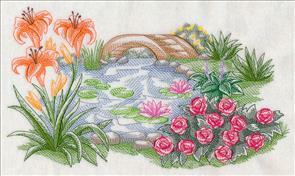 The designs are terrific for using together on a quilt or decor set. Bright, pretty peonies are stunning flowers named after Paeon, the Greek god of medicine and healing. 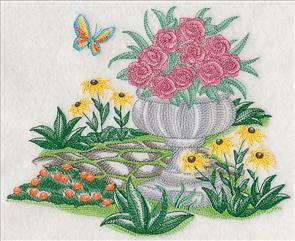 Here they bloom alongside a pair of tufted titmouses in this embroidery design. 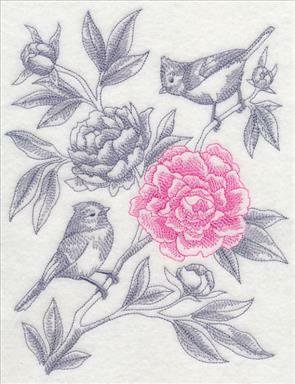 The light and lovely style of toile designs make them a great addition to floursack and tea towels. 6.88" x 8.87" and 6.02" x 7.77"
5.38" x 6.96" and 4.85" x 6.25"
Create an entire set of table linens by pairing the design above with these matching corner and border designs. 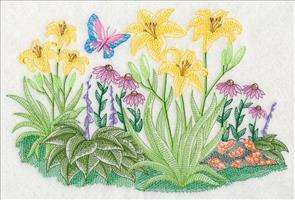 They'll look fantastic as stitched on a placemat, napkin, and tablecloth. 5.83" x 5.84" and 4.85" x 4.85"
11.73" x 4.01" and 9.38" x 3.21"
7.79" x 2.66" and 6.00" x 2.31"
Weigela is one of the hummingbird's favorite flowers! Hummingbirds are particularly drawn to fragrant nectar and red, trumpet-shaped flowers, which the weigela bloom embodies. 6.88" x 8.58" and 6.25" x 7.80" and 5.38" x 6.72" and 4.88" x 6.09"
A weigela corner and border are a great compliment to the larger design above. 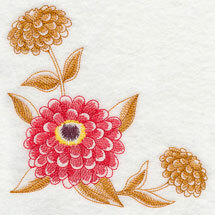 Stitch them on low-nap towels, linens, aprons, and more. 7.80" x 2.57" and 6.00" x 1.98"
Both the wren and the jessamine flower are native to the southern areas of the United States, and are well-known in South Carolina especially. The wren is the state bird of South Carolina, and jessamine is the state flower of South Carolina. Here a wren stops to take in the beauty of a Carolina jessamine bloom. 6.90" x 8.81" and 6.11" x 7.80" and 5.40" x 6.89" and 4.84" x 6.18"
Jessamine is a gorgeous vine that is usually found covering fences and trees throughout southern America. It is known for its slender vines and bright yellow flowers. 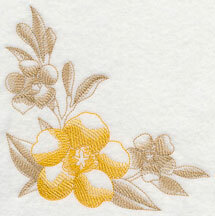 Stitch a jessamine corner or border on your next embroidery project. 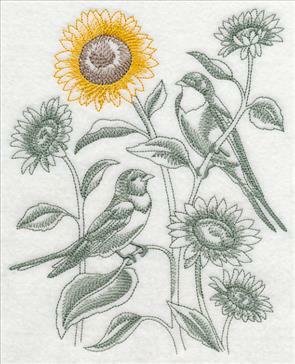 7.80" x 2.60" and 6.00" x 2.00"
These eye-catching barn swallow and sunflower motifs are beautiful and take less time to stitch than traditional embroidery designs. 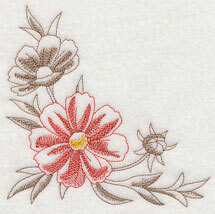 Because the toile features light stitches, open spaces, and fewer color changes, it's a quicker embroidery option. 6.85" x 8.47" and 6.31" x 7.80" and 5.40" x 6.68" and 4.85" x 6.00"
Each of the designs features a prominent, colorful bloom with muted sketch-inspired flowers and birds in the background. This accents the eye-catching colors in each flower. 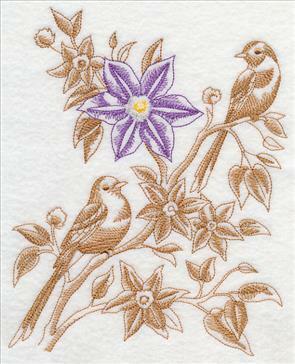 11.75" x 3.88" and 9.40" x 3.11"
7.80" x 2.58" and 6.00" x 2.17"
The stitch-style of toile makes it a fabulous way to show of the beauty and depth of these eastern bluebirds and cosmos flowers. Choose smooth fabrics, such as quilters cotton, linen, twill, or denim for excellent stitching results. 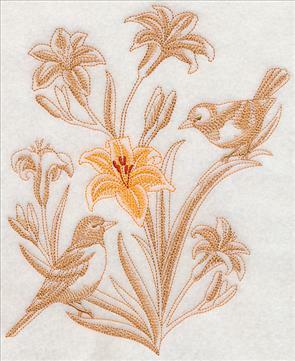 6.85" x 8.92" and 5.98" x 7.80" and 5.40" x 7.03" and 4.84" x 6.32"
Pick your favorite bird in bloom to stitch, or use all of the various floral motifs in a series of wall hangings, table linen sets, or on a quilt. Cedar waxwings are known for their wax-like wing tips and two common calls: a high-pitched whistle and buzzy trills. 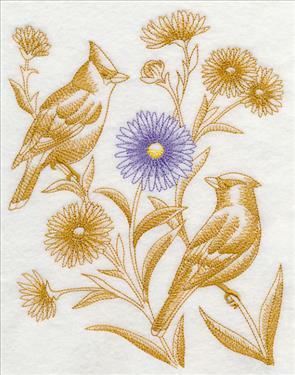 A pair of the beautiful birds perch alongside an aster bloom in this toile embroidery design. 6.88" x 8.90" and 6.03" x 7.81" and 5.38" x 6.96" and 4.83" x 6.25"
An aster corner and border design are terrific accompaniments to their bird in bloom counterpart. 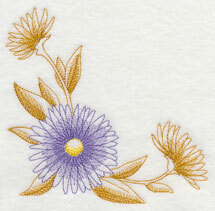 Asters are known for their starry-shaped flower heads that look similar to daisies. 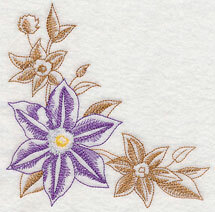 Their beautiful purple petals bring delightful color to these embroidery designs. 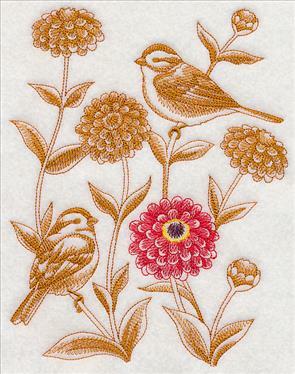 5.84" x 5.85" and 4.82" x 4.83"
A tree sparrow and zinnia pairing is a brilliant addition to your next embroidery project. 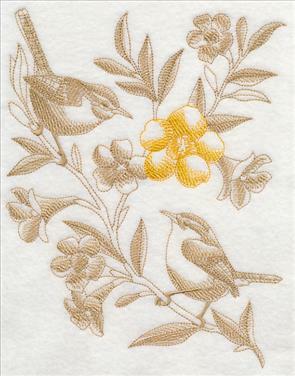 Not only does the toile style add a naturally elegant look to the design, but the beauty of the bird and flowers are lovely on a variety of projects. 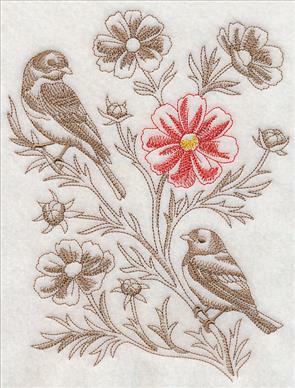 6.89" x 8.86" and 6.04" x 7.78" and 5.39" x 6.94" and 4.85" x 6.25"
Stitch the zinnia designs singly on placemats, napkins, or apparel, or with the tree sparrow design above. We particularly love combining the three designs for a fresh floral look. 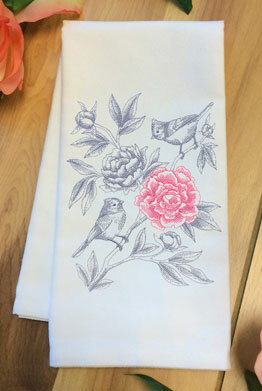 7.79" x 2.60" and 6.00" x 2.18"
Each of the toile birds in bloom designs would be a wonderful addition to gardening gear, tote bags, apparel, and more. Here, an oriole flocks to daylily blooms. 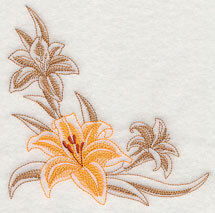 6.85" x 8.61" and 6.20" x 7.79" and 5.40" x 6.79" and 4.85" x 6.10"
Add a lovely embellishment to your embroidery projects with these daylily corner and border designs! 7.80" x 2.56" and 6.00" x 2.13"
Pick your favorite birds in bloom designs by using the links above, or get all 30 designs in a pack! 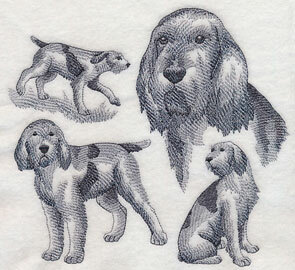 Dog breed designs are one of our most popular requests, and we're always happy to add another into the mix. 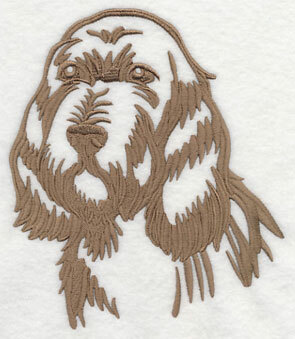 Elaine requested sketch and silhouette designs for the Spinone Italiano breed -- thanks for the suggestion! 7.43" x 6.90" and 6.30" x 5.85" and 5.21" x 4.85"
5.86" x 6.68" and 4.86" x 5.54" and 3.39" x 3.86"